Precarious iphone x case by Barbara Keith. Protect your iPhone X with an impact-resistant, slim-profile, hard-shell case. The image is printed directly onto the case and wrapped around the edges for a beautiful presentation. Simply snap the case onto your iPhone X for instant protection and direct access to all of the phone's features! Wow . Awesome painting . Please vote for my grandmother's elephant in the wildlife constest. What a sad story...I bet thier extinction was caused by man...:( I love your dedication to animals (me too!) and the way you depict them shows them in thier finest. Wonderful job! I hope everyone realizes that these creatures won't be around if we don't continue to help them. Thank you for highlighting these wonderful creatures! Wonderful painting. I love the way you capture your subjects. 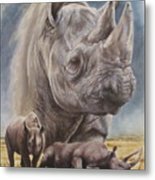 The Black Rhinoceros, Diceros bicornis also colloquially Black Rhino is a mammal in the order Perissodactyla, native to the eastern and central areas of Africa including Kenya, Tanzania, Cameroon, South Africa, Namibia and Zimbabwe. 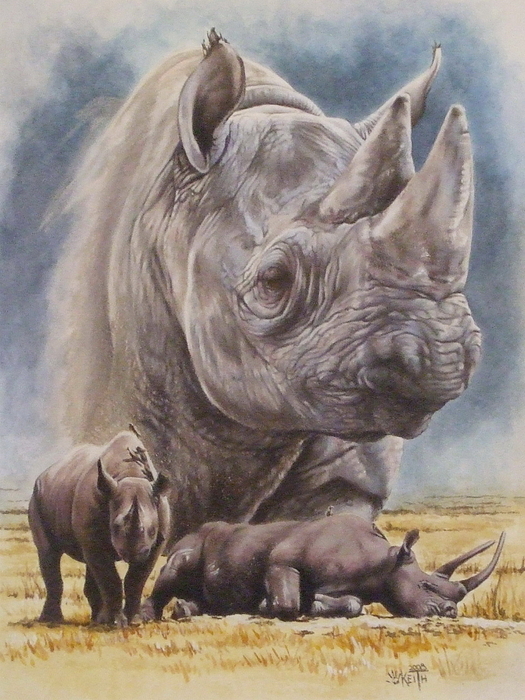 Although the Rhino is referred to as a "Black" creature, it is actually more of a grey-white color in appearance. 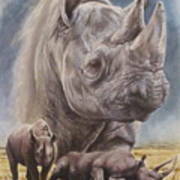 The name of the species was chosen to distinguish it from the White Rhinoceros (Ceratotherium simum). This is very misleading, as those two species are not really distinguishable by colour. The word "White" in name "White Rhinoceros" deriving from the Afrikaans word for "wide" rather than the color white. 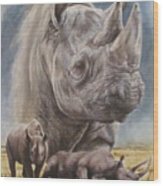 The World Conservation Union (IUCN) announced on 7 July 2006 that one of the four subspecies, the West African Black Rhinoceros (Diceros bicornis longipes), has been tentatively declared as extinct. In the private collection of M. Dulaney.